N7700 - Verimation Technology Inc. 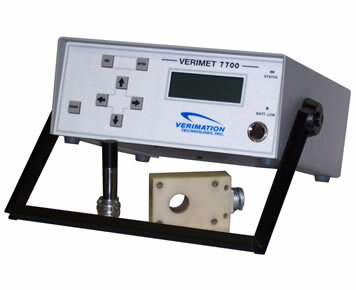 The Verimet® 7700 is a Portable, Microprocessor-Based Eddy Current Instrument for Heat Treat Verification, Alloy Sorting, Hardness Inspection and Case Depth testing of Ferrous Metal parts. Versatile and Accurate, it offers improved capabilities for a wide range of applications. The instrument is compact, lightweight and battery-equipped, so it is just as easy to use in the laboratory as it is in tough production environments. Interchangeable Probes and Coils are available to match a range of testing applications and conditions. Originally designed for the automotive, metallurgical and defense industries, the Verimet® 7700 effectively tests parts whenever material grade and heat treatment are critical to product integrity. A spot probe or encircling coil can be used, depending on the application. The feasibility of performing a successful sort can be determined in minutes, without extensive training or time-consuming tests.